Home > Court Rules Starbucks Must Post Cancer Warnings, But Not Diabetes? Court Rules Starbucks Must Post Cancer Warnings, But Not Diabetes? If you’ve ever been to California, you’ll have noticed large black and white signs posted in seemingly every kind of establishment and next to all kinds of products. 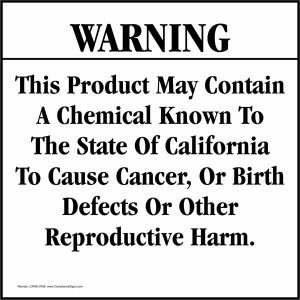 California state law requires all businesses with at least 10 employees to notify Californians about chemical exposure that can cause cancer and birth defects. The law, known as the Safe Drinking Water and Toxic Enforcement Act was adopted by a ballot referendum (Proposition 65) in 1986. 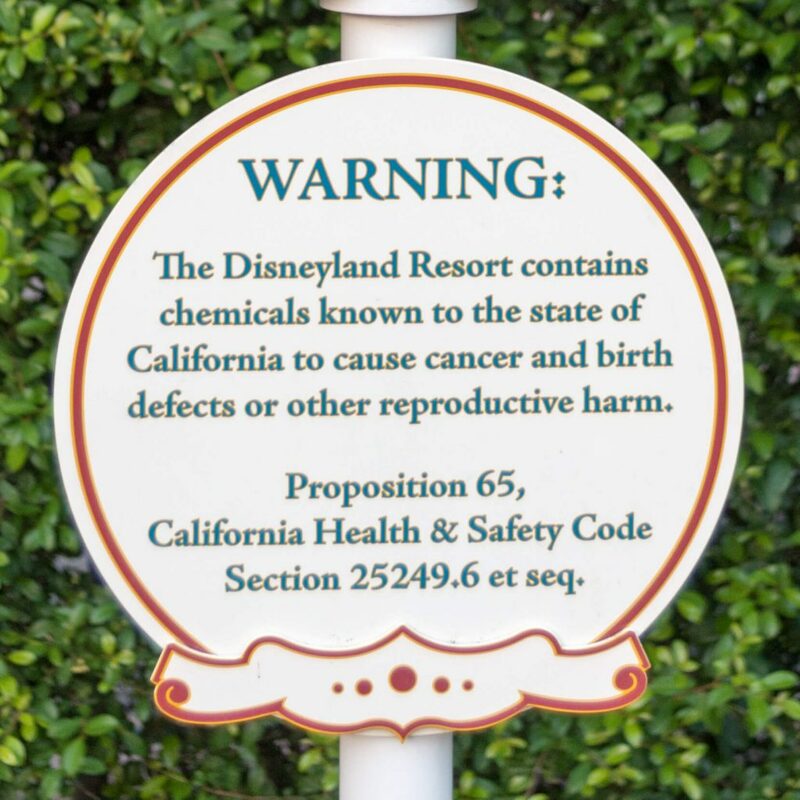 Even Disneyland has to post the warning! In one lawsuit, a plaintiff called the Council for Education and Research on Toxics sued dozens of companies that sell coffee products, including Starbucks and 7-Eleven. Plaintiff, which has the appearance of a non-profit organization, has the same telephone number as the law firm that filed the suit. Some defendants have already settled, including 7-Eleven, which agreed to pay $900,000. About 50 defendants remain in the lawsuit, including Starbucks. However, the International Agency for Research on Cancer decided in 2016 to remove coffee from a list of possible carcinogens. Numerous studies have suggested that coffee actually decreases cancer risks. One 2017 review found that a daily cup of coffee is associated with a reduced risk of liver cancer and endometrial cancer. You can see the complete list of chemicals listed or considered under Prop 65 here. What If Stores Don’t Carry the Required Cancer Warning? Prop 65 allows private plaintiffs to sue on behalf of the state and collect a portion of civil penalties. Fines can run up to $2,500 for each cup sold without a proper warning. In 2016, 760 Proposition 65 suits settled for a total of $30.2 million, according to the California attorney general. Of that total, $21.6 million, or 72 percent, went to lawyer’s fees and costs. What do you think? 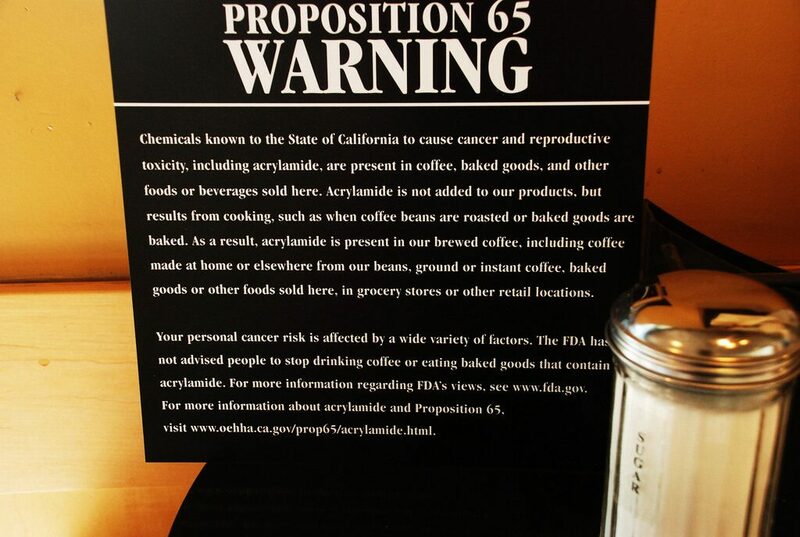 Are the Prop 65 warnings so commonplace as to be meaningless, like the boy who cried wolf? Do you think most people just ignore them, or do they serve any useful purpose?